Stop running out of battery every day with this nifty device! Never look too far for your phone anymore. With this Wireless Charger Mouse Mat, you can charge your phone on the same mouse pad. Wireless Charging Pad & Mouse Pad: It is a Mouse Pad/Mat with QI Wireless Charging pad, which also can be acted as a wireless charging stand. Easy to Use: Simply place your phone directly on the charging pad and your phone begins to charge, and it's comfortable and convenient. 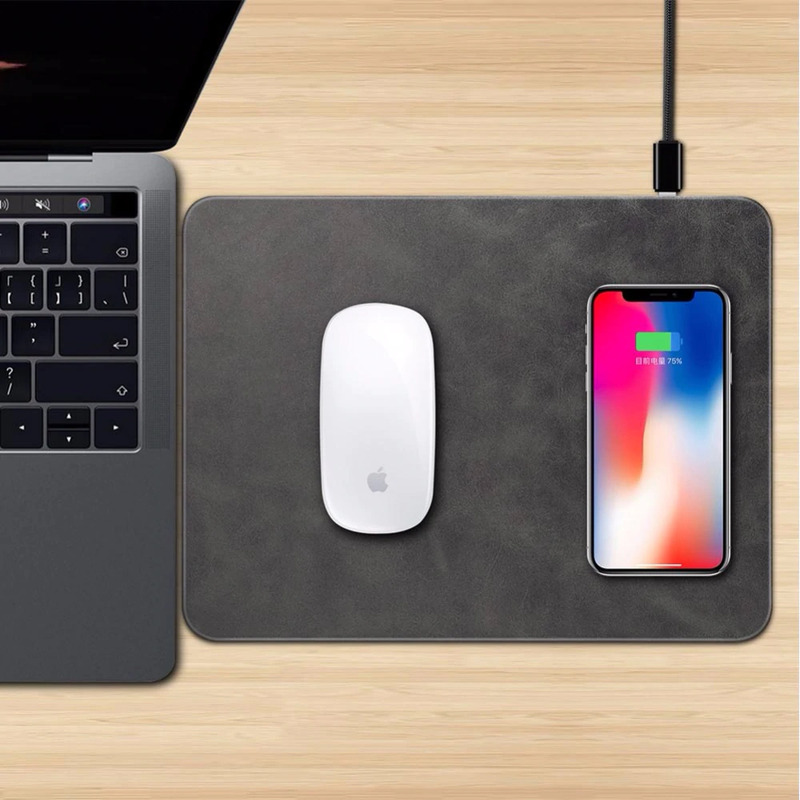 Efficient Energy Saving: The wireless charging mouse pad uses QI standard wireless charging technology, the charging rate can reach up to 75 percent, full of the automatic standby, which can effectively save energy consumption. Elegant Finish: Sleek, rectangular design. Comfortably work and play while charging on the large 14.1” x 8.6” surface area, which can accommodate your mouse and other wireless devices. Pad only, Charging cable NOT included. CLICK AND ADD TO CART ABOVE TO GET ONE TODAY! !